Bringing up Bella: Wordless Wednesday 23 - Snow day! 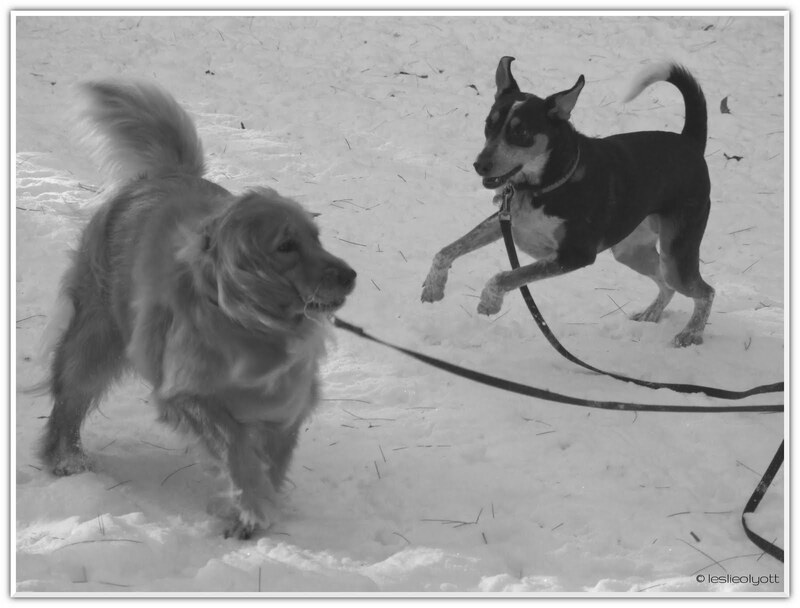 Fun fun, Torrey loves romping in the snow too. Roxy, not so much. 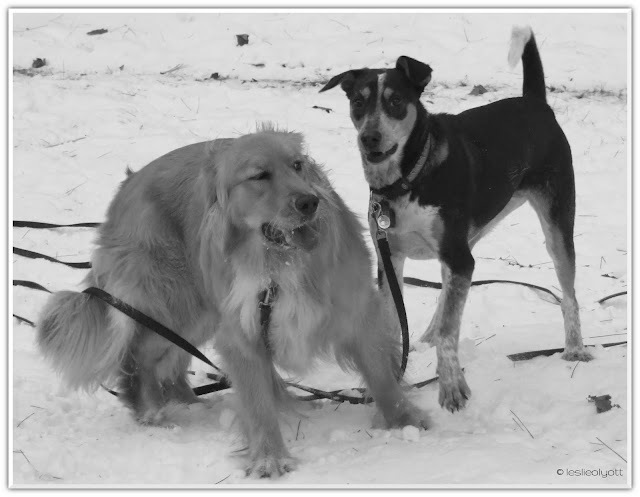 They look like they were having such a good romp in the snow. Snow days still not in our mountains either. Seems like snow is just a dream now. Great pics! Looks like they were have the best time! Looks like a lot of fun back then! We need snow here in Montana too! I loved your interview and left a comment there! We were on there Monday....check it out! Hi, we live in wisconsin( by lake michigan) and we havent had any snow yet! It is 50 degress today but we are expecting 8 inches...our first snow storm, cant wait to play in it! These "cool" kids seem like they are having a lot of fun playing in the snow! I'm jealous actually... I live in Florida where we never get ANY snow, so my pup can't play in it! I can't wait to see more pictures from these fabulous two pups soon! Congrats on the Coffee with Canines! Great! 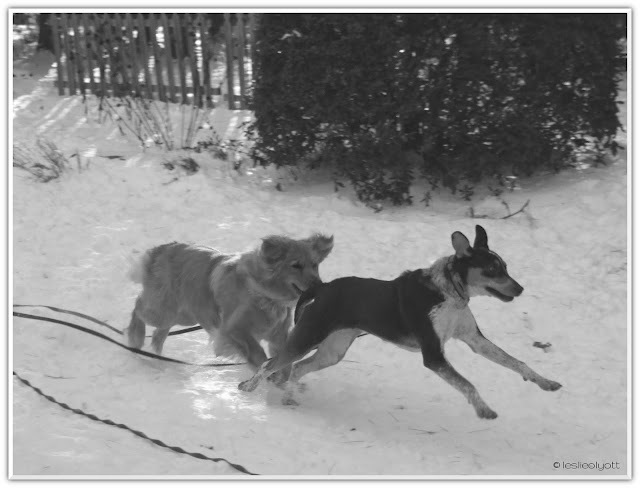 Love the pics of the two romping! Snow, running, fun what else could you ask for!!! we are missing the snow too...hear we are supposed to finally get some this Friday! Awww! You guys got SNOOOOOW!! We were SO hoping for some!! Great pics! My previous girl l LOVED the snow and would play for hours!!! My new girl; not so much. She won't go out without her little jacket on and won't stay out long and hates to romp in the snow. But so far, we don't have snow either this year, so she's ok to go outside still. Almost. Great photos! Thanks for stopping by our blog! I have to admit, we were surprised Bella took to the snow the way she did, being from Puerto Rico and all. Guess she was still young enough because she loves it! Oh they did - and what a great picture-taking opportunity for me! Thanks for the notice - I'll try and update my blog roll this weekend so I don't lose track of you! Woof woof! LOL - I know - if we don't get it, I want it but as soon as it appears, I'm ready for it to go away! The interview was fun. I'm really enjoying that blog - what a great idea and wonderful way for animal lovers to get to know each other! I've been meaning to get over there and say hi - I loved your interview and had no idea you guys were so new to the blog world - you seem like 'old pros'. Hi Debbie! Thanks for visiting. I just zipped over to follow your blog - that's quite a pack you have there! It's kind of crazy to go from 50 degrees to 8 inches of snow! We've been in the same boat though - weather's been nuts this year. Thanks again for stopping by. Looking forward to getting to know you and your pups! 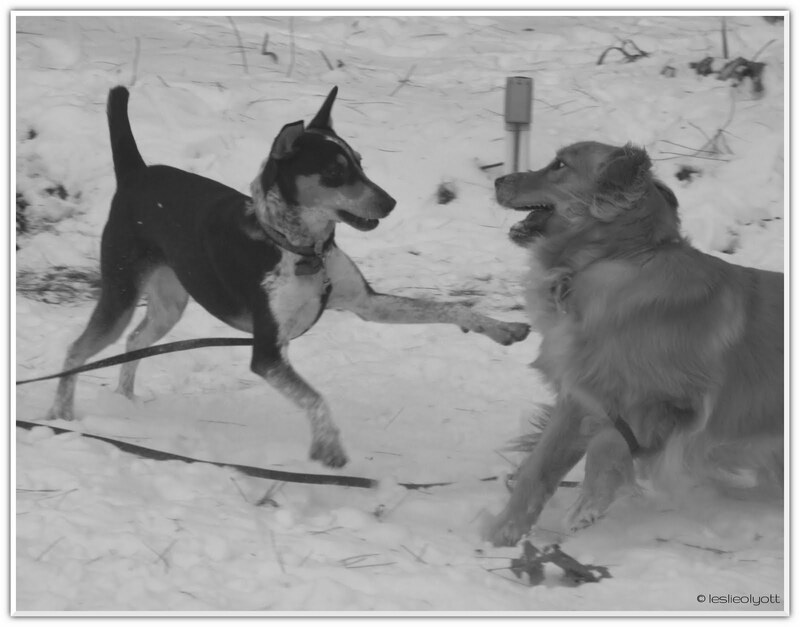 There's nothing better than pups playing, is there? Hope all is well with you - really hope to drop by for a visit this weekend. Hi Tim! Thanks for dropping by. Bella certainly couldn't ask for more, that's for sure. Yeah, they keep promising us but it's all been a bust so far. Here's hoping you got your snow today! Hi Cheryl, thanks for dropping by! This is old snow - we still have diddly. ;) Here's hoping you'll get some soon! Happy to have found you and I really look forward to reading more. Thanks for swinging by. Happy to have found you! Thanks for the return visit. Looking forward to getting to know you better. LOL - that's true enough. But it's both good and bad. My dad was the resident photographer in our family and when my Lab was growing up, he took pictures of me and Beau together every so many weeks for his first year. So I have a whole history of our life together in pictures.